Noise Frequency: Default: 6, Range: 0 or greater. Noise Octaves: Integer, Default: 3, Range: 1 to 10. Noise Shift: X & Y, Default: [0 0], Range: 0 or greater. 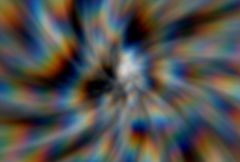 The center location of the chroma warp, in screen coordinates relative to the center of the frame. This parameter can be adjusted using the Center Widget. Z Dist: Default: 0.7, Range: any. The distance that the chroma warp effect is applied over. Rotate: Default: -8, Range: any. The rotation of the spiral, in degrees. Set to 0 for a straight zoom. Steps: Integer, Default: 12, Range: 3 to 100.